If being out of range of mobile phones sounds like bliss to you, a rural valley in British Columbia, Canada could be the place to head for. Officials from the Slocan Valley Economic Development Commission reckon keeping the valley mobile-free will draw in tourists and new residents. A group of residents have asked mobile company Telus Corp. not to go ahead with plans to erect a cellphone mast in the small town of New Denver. 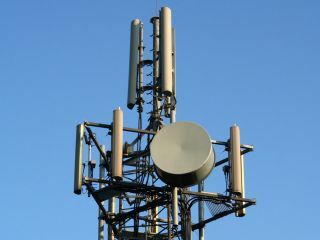 If successful, the local development group plans to promote the "cell phone free status" of the town as an attraction, according to a report from Reuters . "The fact that we're without cellphone service means that we're able to enjoy life without the incessant sound of ringtones, immediately followed by someone's shouted conversation," Bill Roberts of the Slocan Valley Economic Development Commission was quoted as saying.